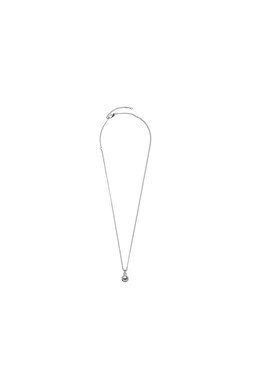 A classic pendant necklace with a little bit extra. 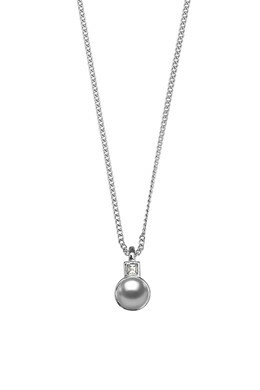 The chain necklace in a silver toned finish has a pendant with a grey cabochon cut faux-pearl and a square white Swarovski crystal on top. Chain length is 40 cm + extension. Made with a lobster closure. The necklace is a perfect match with the Zyris earrings.